Positioned at the base of Mt. 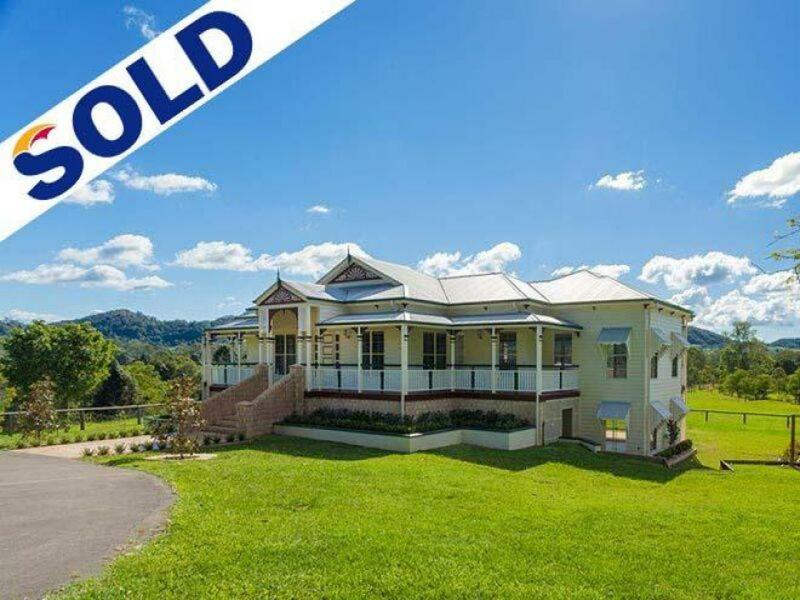 Eerwah, with sweeping views over 38.97 acres of lush and fertile pastures, sits a striking contemporary Queenslander, that will capture your heart. The property epitomizes the hinterland dream - amazing views, tremendous space, water and wildlife aplenty, and the feeling that there is simply no better. This property, with its massive spring fed dam and five fenced paddocks, is surrounded by other large acreage properties affording the property owner virtual privacy. For those who appreciate land, the soil is rich and red. The fields are dotted with a wide variety of trees and plantings and the areas bordering the creek beds on the property are magical. This rural acreage property is 5 minutes to the Bruce highway and 10 minutes in either direction to Cooroy or Eumundi. Noosa, with its world class beaches, vibrant restaurants and cafe scene is less than 30 minutes away.